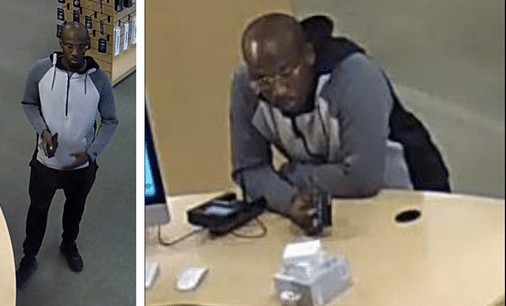 PEACHTREE CORNERS — A customer at a Peachtree Corners computer store decided to take matters into his own hands — or pants — after his credit card was declined several times while attempting to purchase a MacBook Air. Gwinnett County Police say the shoplifter put the computer in his pants and left while a store employee was helping other customers. 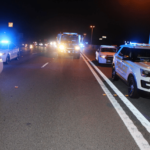 The incident happened March 26 at Simply Mac on Peachtree Parkway in Peachtree Corners. Police need your help identifying the man. Police are asking anyone who has any information to share in this case, to contact detectives at 770-513-5300. To remain anonymous, tipsters can contact Crime Stoppers at 404-577-TIPS (8477) or visit www.stopcrimeATL.com. Crime Stoppers tipsters can receive a cash reward for information leading to an arrest and indictment in this case. The case number is 19-027276.